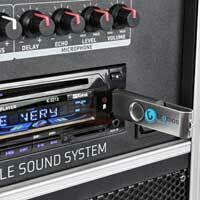 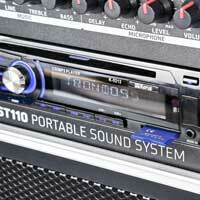 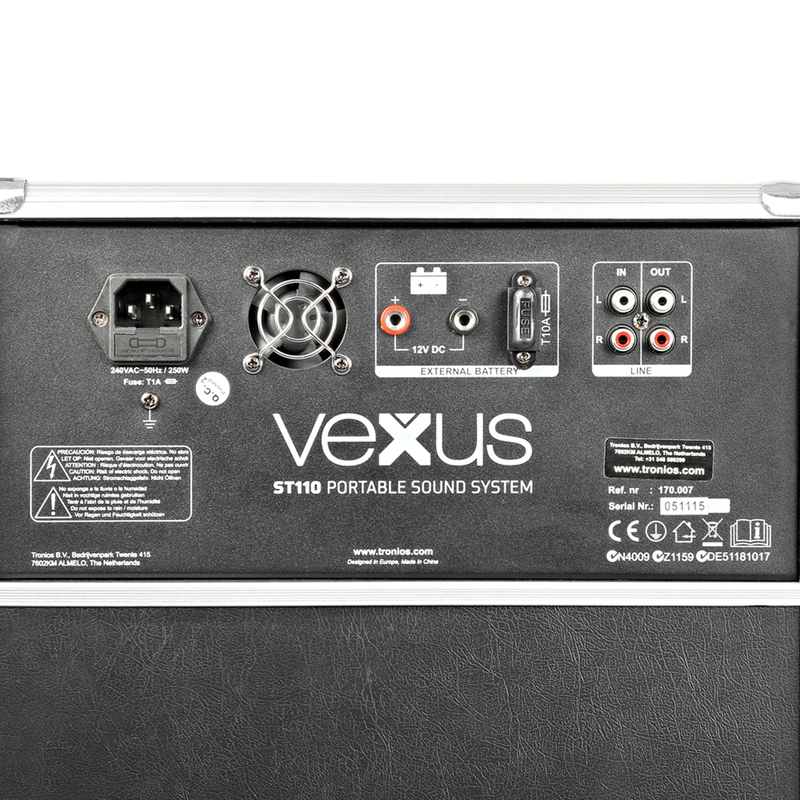 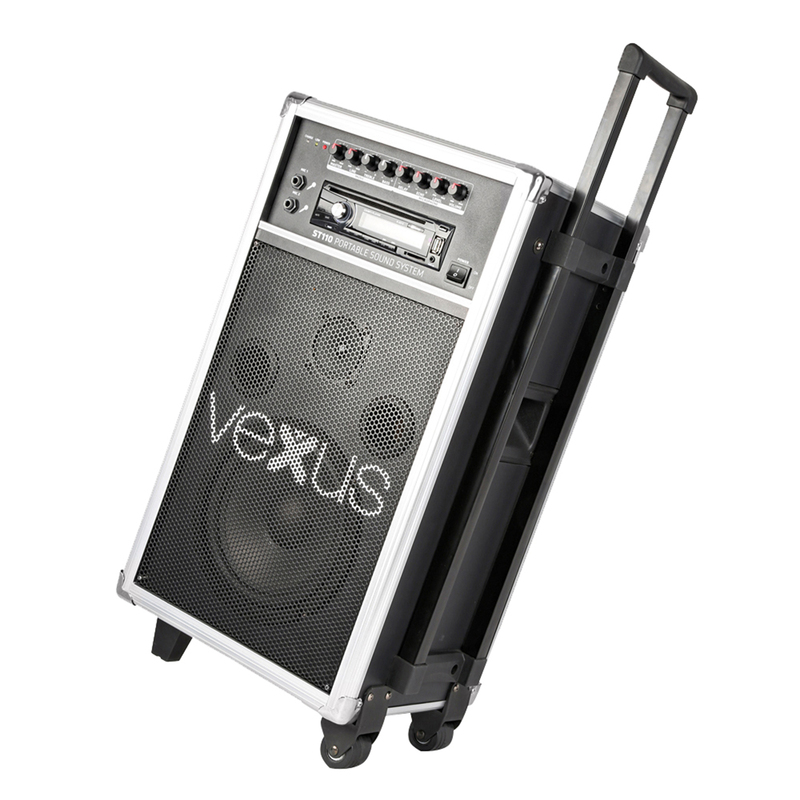 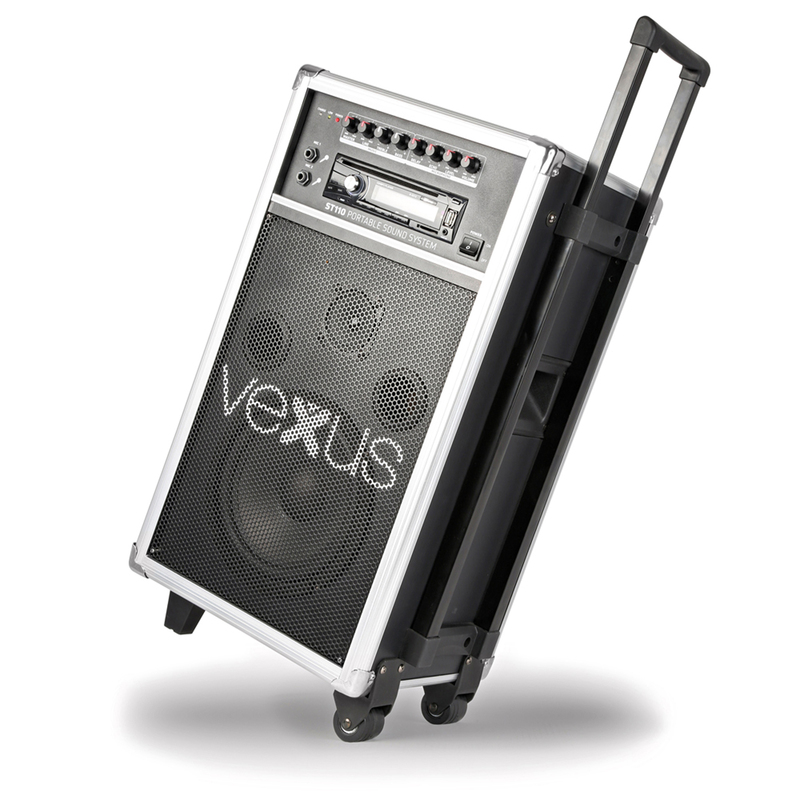 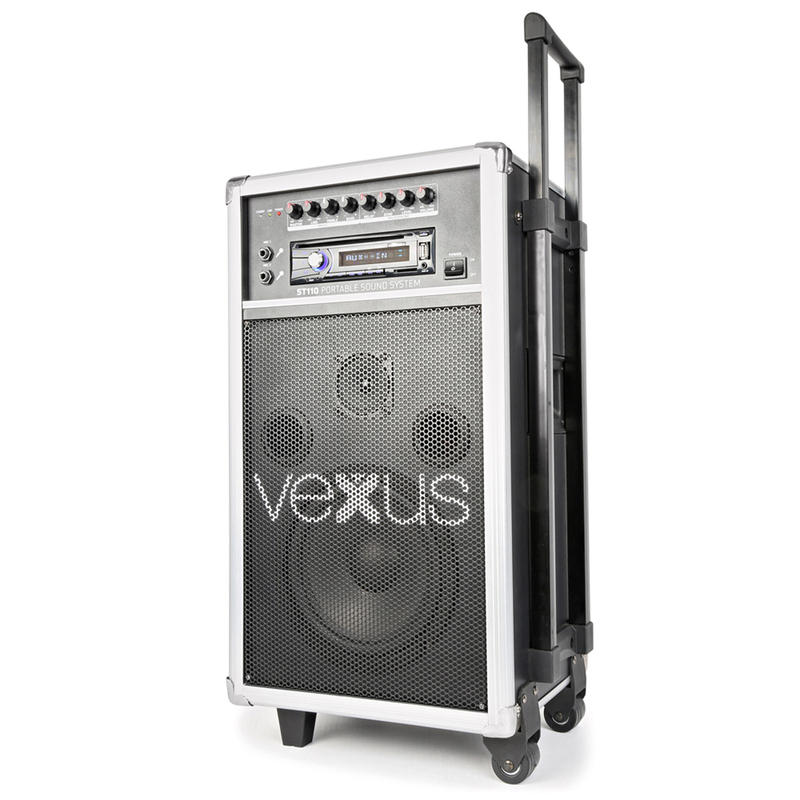 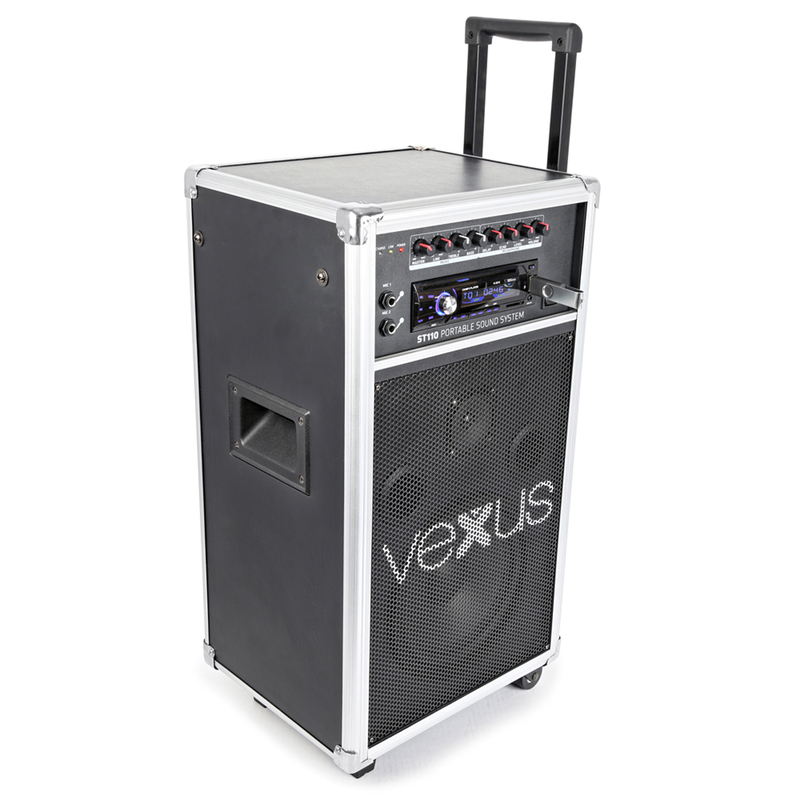 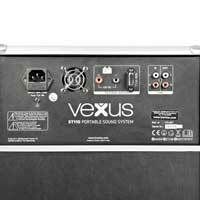 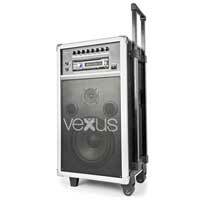 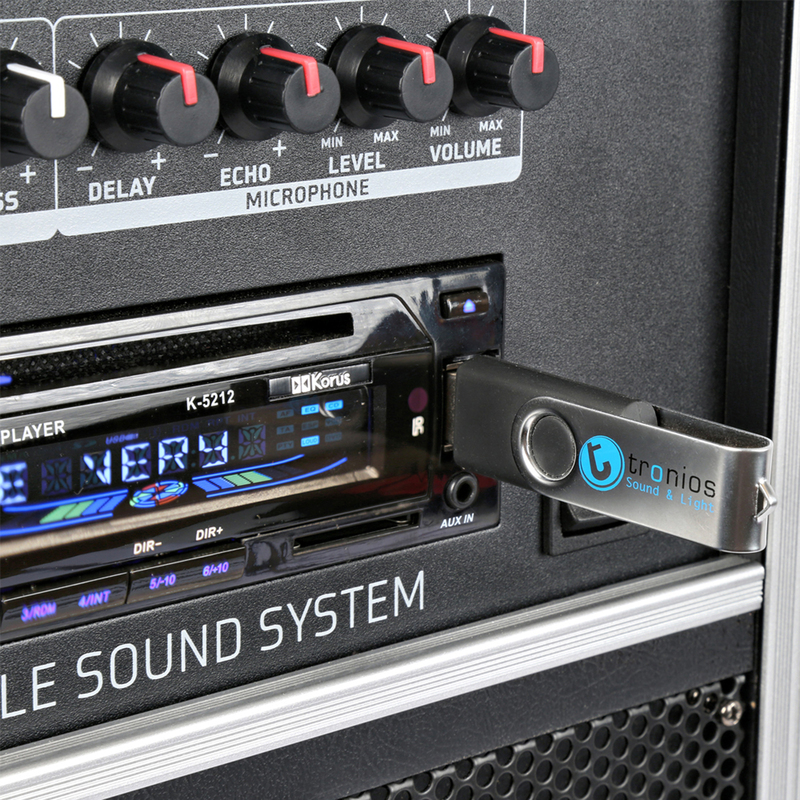 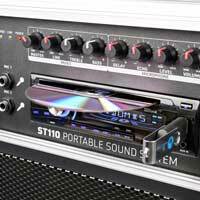 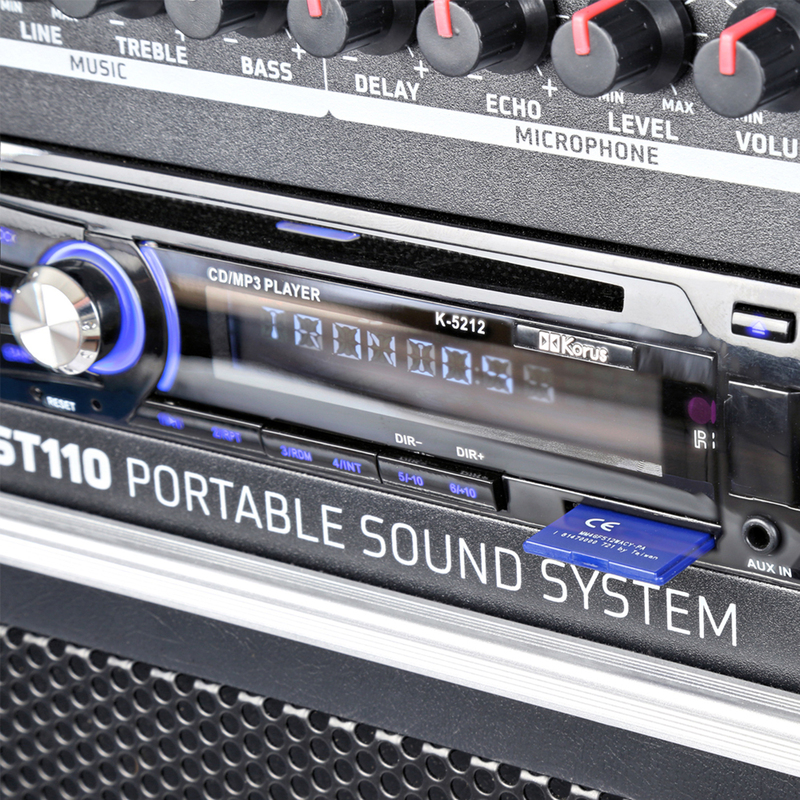 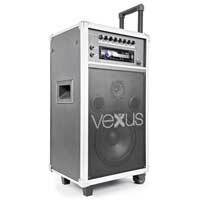 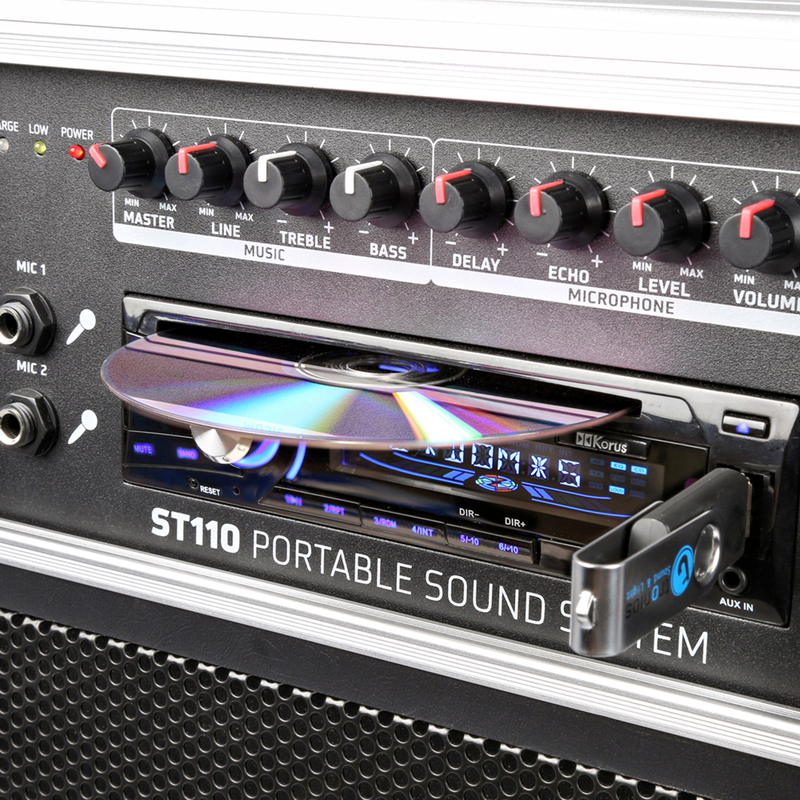 The ST110 from Vexus, is an 8 inch CD / MP3 portable sound system with a built-in 250W amplifier and battery in a mobile housing for (karaoke) parties. 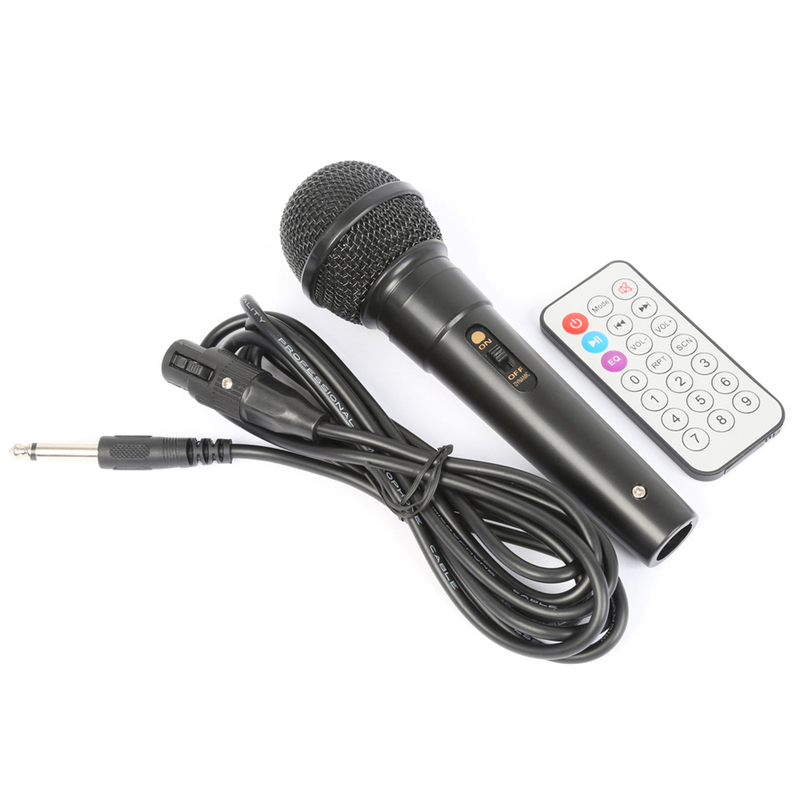 Features echo effect, random and intro play, ID-Tag, remote control, telescopic handle and wheels. Easy moveable and can be used everywhere even if there is no mains power present. 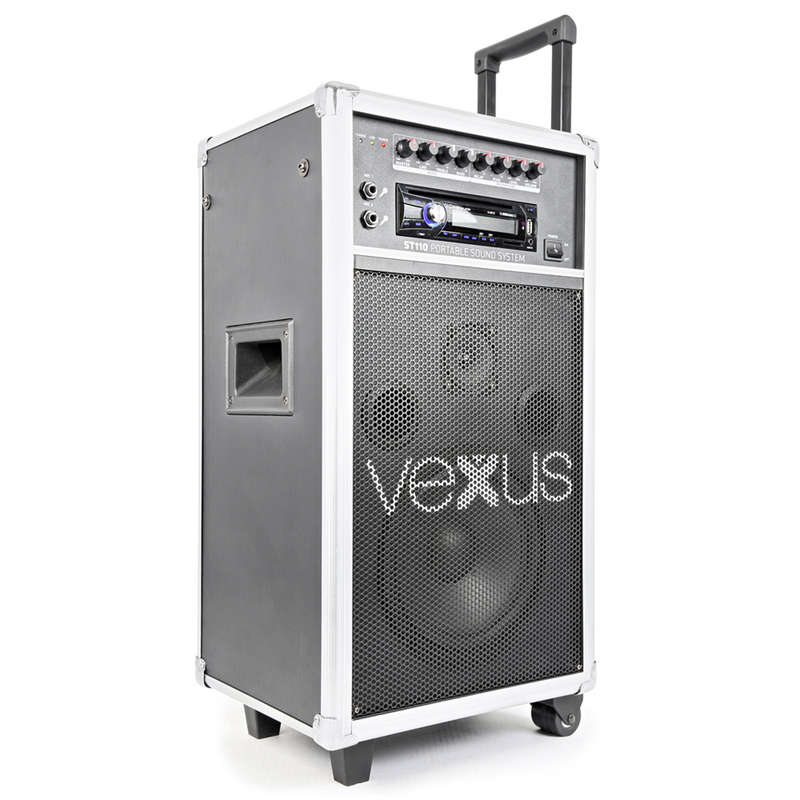 A perfect all-in-one speaker system for house parties, beach parties, field sound, picnic sound, outdoor party, BBQ and more.